How do you pick a print that is flattering for you? There are just so many prints to choose from – florals, stripes, animal, abstract, geometric, checks, paisley, ikat … the list goes on and on. So how do you make the right choices when prints and patterns come in a myriad of colours, scale, contrast and styles. 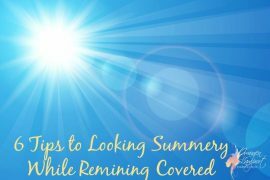 Let me share an experience with a client that may help you too. I was out shopping with one of my lovely clients. She wanted some blouses and dresses that were more ‘fun’ than her current range of tops in solid colours. How did I help her choose a flattering print? I made sure that the print followed these 3 guidelines. Knowing her colour palette meant picking up all the options in the store that had her colours in them was easy, but also one of the keys to picking the right prints is also working with your natural level of contrast. My lovely client is a fair skinned blonde with pale green eyes (similar to the woman on the bottom left of the image above), giving her a low contrast, thus the low contrast prints were the most flattering on her. A low-value contrast print has not a lot of difference between the lighter and darker elements of the print. As she was fair – an overall light value print was the best choice for her as it related well to her ideal value (find out about that here). 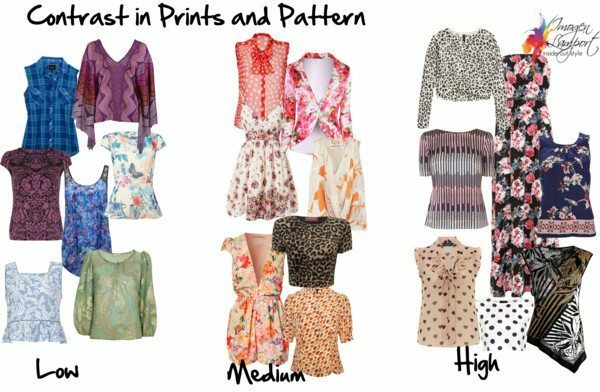 You can see in the image above, that the low-value prints are more subdued in feel, whilst the high-value prints on the right are bolder and more dramatic too! 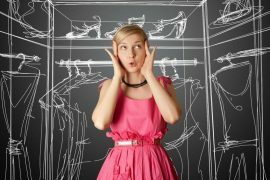 All clothes communicate and what image consultants have discovered, is that different prints express different personality traits (and communicate in different ways – this relates to the concepts of Yin and Yang – which you can find out about here). My client’s personality was Classic Feminine, so a smaller more delicate print worked best on her. 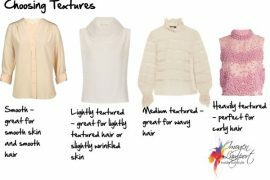 What do each of the personality dressing styles choose for their prints? Do you have big or small bone structure? How about your facial features? Are they larger, medium or smaller? Are you tall, average or short? 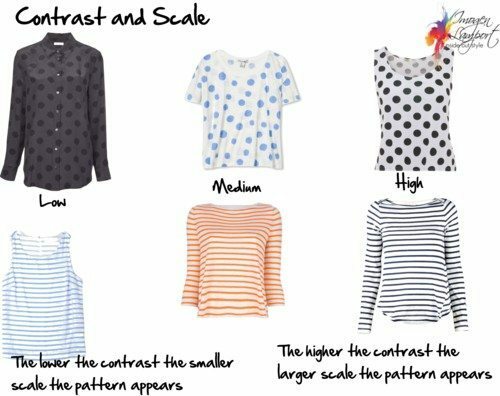 All these questions impact on the scale of your ideal print (find out more about identifying your scale here – it’s also part of my 7 Steps to Style program if you’d like my personal opinion on this – along with your colouring and body shape – plus so much more). 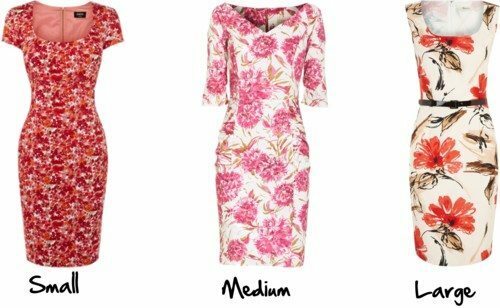 So as we shopped, we selected prints for her that fit her needs and physicality – low contrast, light value, medium scale floral and curved prints which she now loves and add interest and figure flattery to her wardrobe. 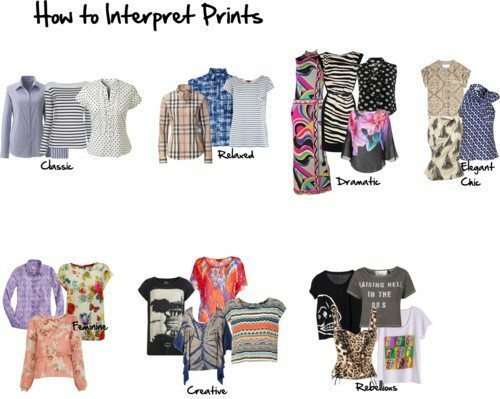 Can you identify the prints that will work best for you now you have this information? If I am high contrast but bright deep purple, turqouise, shocking pink and bright teal-y green (all not too light or too dark colours, ie medium) suit me, what other colour can I wear them with to make a print into high contrast, not medium? You can make bright colours high contrast by mixing very dark or light colours back with them. ie turquoise with black or turquoise with white? always thought that would be more medium contrast! Turquoise with black would be more high contrast. Remember you can always add in a third colour in a small way to add contrast such a s a white came, black pants and turquoise top. That should have read white cami! Under what style would you put paisleys and similar leafy somewhat abstract patterns? Or depends on the details of it? What about Moroccan patterns? Or bright stripy espadrilles? Moroccan or anything with an ethnic vibe relates to the creative. The last bit about the relationship between contrast and scale was eye-opening for me. Thanks for always such detailed and helpful information, Imogen. You break it all down in ways that make style much more approachable. Imogen, thank you so much for your enlightening blog posts. I was thrilled to see the patterns separated by style type. I have never felt that only one described me and the blend of classic, relaxed and rebellious is spot on. 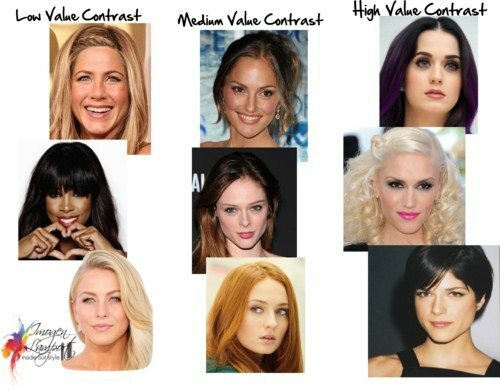 How can I learn more about these style types? Interesting posts. 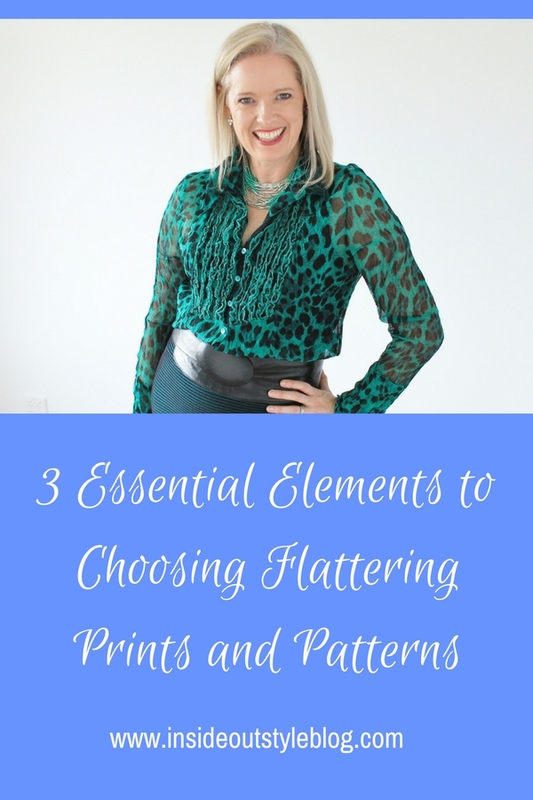 You rarely find anything about prints when it comes to personal styles usually! As for my personal style, I still havent figure it out. I love almost anything as long its “balanced” and comfortable but I often base my wardrobe around classics/feminine-classy/relaxed pieces (staples) and spice it up with dramatic/creative (fun pieces), not that into trend/rebelious but sometimes try thme out. But I guess Im closer to classic/feminine with a creative and edgy twis because I cant sqeeeze myself into 2-3 personal styles. 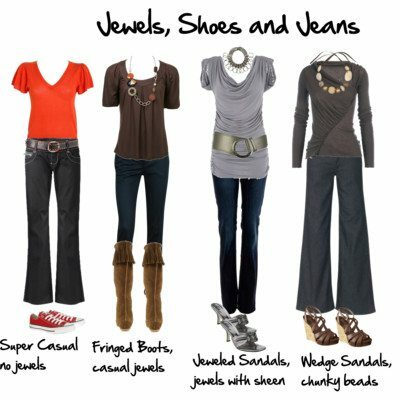 But I wondering, Ive medium contrast but I love the high contrast of the dramatic, also most blogs only write how to look slimmer but I rather want to add volume – What type of prints on my skirts/leggings do you think would go best, according to these guides? If you want to add volume go for a sparse print in a high contrast. Warm/Cool is often confused – particularly when you have soft colouring. Jennifer Aniston is warm and soft. There is no reason to limit yourself to only a couple of personality styles – I’m a combination of Creative, Relaxed, Dramatic and Feminine – it all depends how I feel. I sometimes add in a touch of Classic if I’m doing a corporate workshop. Your examples are fantastic. 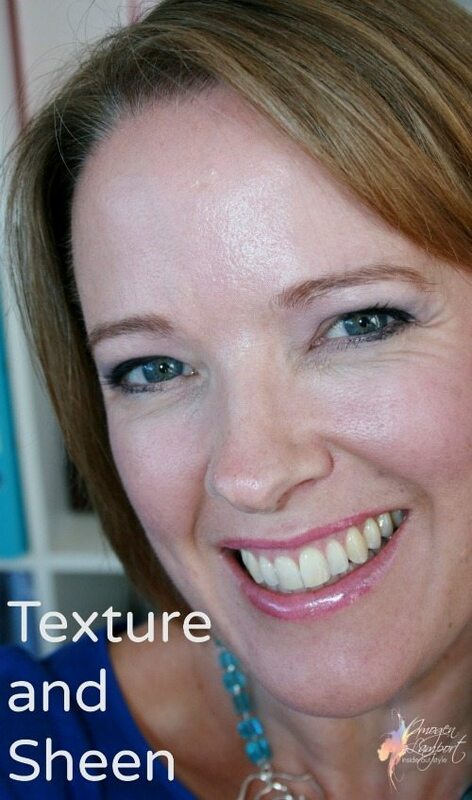 Strawberry blonde hair, blue-green eyes, fair skin = low contrast. Now I know what to remove from my closet to donate to the SPCA shop! how I incorporate these styles in my outfit? You can wear prints – they need to be dense and busy – a print where the eye doesn’t stop and look at any particular element. I’ve been following you for a long time now – since your brunette days – and have gained a lot over the years. The concept of contrast has been a mystery to me, though. I’ve followed the steps and read the posts, but didn’t really ‘get’ it till just recently. I suddenly realised why some things still didn’t feel ‘right’. I think it’s because I’ve tended to wear high value contrast, when I’m better with medium. Just that insight has helped me to make better choices lately. Thanks so much! It’s amazing once you get it you suddenly see it and it’s becomes so obvious! Glad that you’ve figured out your medium value contrast and how to wear it that is right for you!